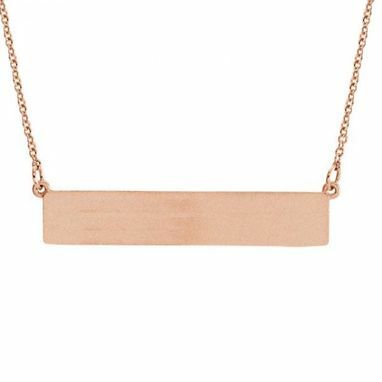 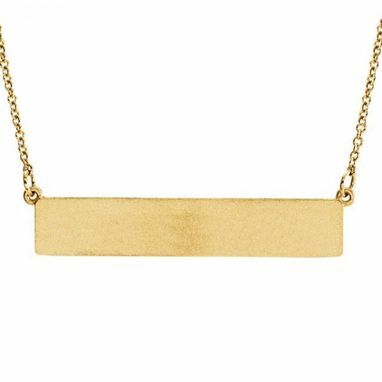 This lovely rectangular bar pendant necklace creates the perfect wearable name plate in your choice of customized typefaces. Crafted of 14k white gold, this name necklace is the perfect spot for your choice of letters or a message of up to 13 characters. 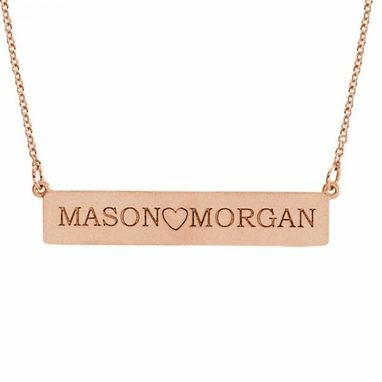 Personalize this bar pendant with the name of the one you love, or create for yourself as the perfect custom jewelry creation for any occasion.